/ Modified aug 29, 2018 3:38 p.m.
A Pima County vote-by-mail envelope. Pima County has yet to count 7,000 mail-in ballots, according to county elections director Brad Nelson. Nelson said his office has plans to resume counting Thursday morning. 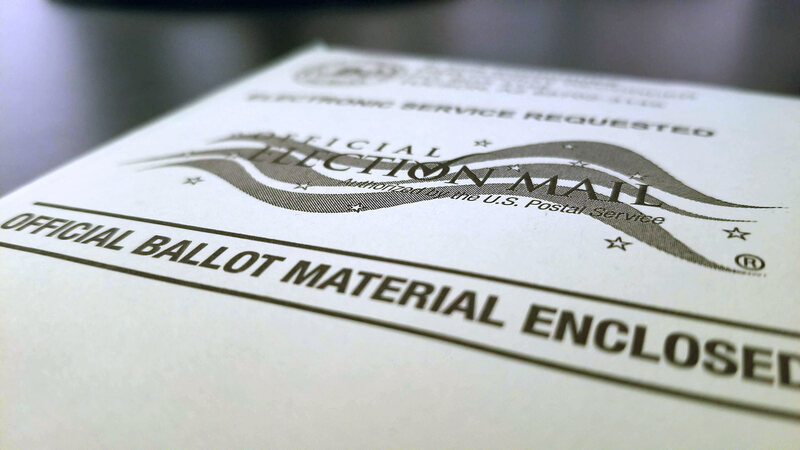 The number of uncounted mail-in ballots may climb by the time counting resumes as the Pima County Recorder's office works to verify signatures for some ballots. A total of 19,000 ballots are at the recorders office awaiting verification. Of those, 15,000 were mail-in ballots that were handed in on election day. The remaining 4,000 are provisional ballots casted at polling places Tuesday. Staff at the recorder's office must verify signatures and any other information that is in question before forwarding ballots to the elections office for final count. State law requires all votes in the primary election be counted by next Wednesday, Sept. 5. MORE: Arizona, Pima County, Elections - Pima County, Election 2018, Government, News, Politics, Tucson, U.S.